Collaborate to resolve confrontation between rising energy demand and water scarcity in both countries. There is powerful evidence that China’s dry and energy-rich northern and western provinces do not have enough water to both develop coal reserves and build the modern manufacturing cities that Chinese authorities envision. Washington’s foreign policy community is all aflutter anticipating the meaning and outcome of Chinese President Hu Jintao’s three-day summit with U.S. President Barack Obama, which starts today. But while the two heads of state focus on resolving what pries them apart, both nations share a dangerous confrontation within their borders over energy demand and water supply—offering a matchless opportunity for new kinds of cooperation on policy, technology, business, and trade. The collision between rising energy demand and declining freshwater reserves, unfortunately, is not on the summit agenda this week. It’s only a matter of time before it is. Large expanses of both countries are being buffeted by new dimensions of water scarcity that impede development and economic opportunities. The U.S. has the opportunity to share its energy efficiency and production technology with China, which, in turn, can offer its proven water conservation policies and practices. There is powerful evidence that China’s dry and energy-rich northern and western provinces, for instance, do not have enough water to both build the modern manufacturing cities that Chinese authorities envision and develop the nation’s immense reserves of coal and natural gas. Meanwhile, in the U.S., water scarcity is pitting energy developers against ranchers and farmers on the northern Great Plains, now emerging as the largest domestic oil production zone outside of the deepwater rigs off the Gulf Coast. Diminishing water reserves are putting the well-being of major American cities—Phoenix, Denver, Los Angeles, Las Vegas, Atlanta, and others—at risk. In contending with energy demand and water supply trends that are moving in opposite directions, the United States has the opportunity to share its energy efficiency and production technology with China, which, in turn, can offer the U.S. proven water conservation policies and practices. During the last seven months, Circle of Blue dispatched reporting and science teams to 18 American states and 15 Chinese provinces, producing Choke Point: U.S. and the upcoming sister project, Choke Point: China, which starts online publication on February 15. The purpose: to understand how both countries are contending with the tightening choke points between energy demand and water scarcity. The major finding of Choke Point: U.S. is that the fossil fuel industry is busy replacing conventional supplies of petroleum and natural gas, produced from underground reservoirs, with “unconventional” fuel reserves, produced from deep shales and tar sands. In essence, much of America’s new supplies of diesel fuel, gasoline, and natural gas are generated from operations that resemble mining as much as they do ordinary drilling. For the first time in a generation, U.S. oil production is steadily climbing. The new reserves, though, require much more water and generate more climate-changing carbon emissions than conventional oil and gas production. They also occur in some of the nation’s driest regions—Montana, North Dakota, Wyoming, Colorado, and Utah. Confrontations between agriculture, municipalities, state governments, and the oil industry are occurring and are sure to get worse. 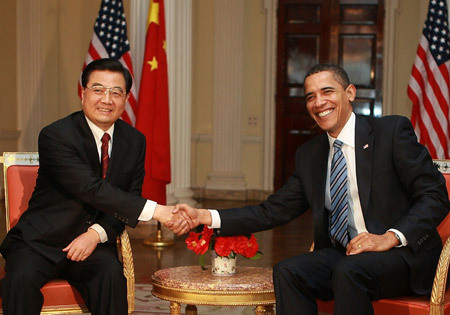 The choke point caused by rising energy demand and declining freshwater reserves is not on the three-day summit agenda between Chinese President Hu Jintao and U.S. President Barack Obama. The second major finding of Choke Point: U.S. is that, with the exception of energy generated from wind and from solar photovoltaic panels, almost every new “cleaner” energy alternative—including nuclear energy—requires more water for production and cooling than the conventional coal- and natural gas-powered energy sources they are meant to replace. The worst energy-water mismatch is in the production of biofuels, which were once seen as a promising replacement for petroleum-based fuels. Generating one gallon of fuel from irrigated corn, for instance, takes 650 gallons of water. Generating one gallon of gas from oil takes one gallon of water. Solar thermal power that is conventionally cooled consumes more water than a coal-fired or a nuclear-powered plant. 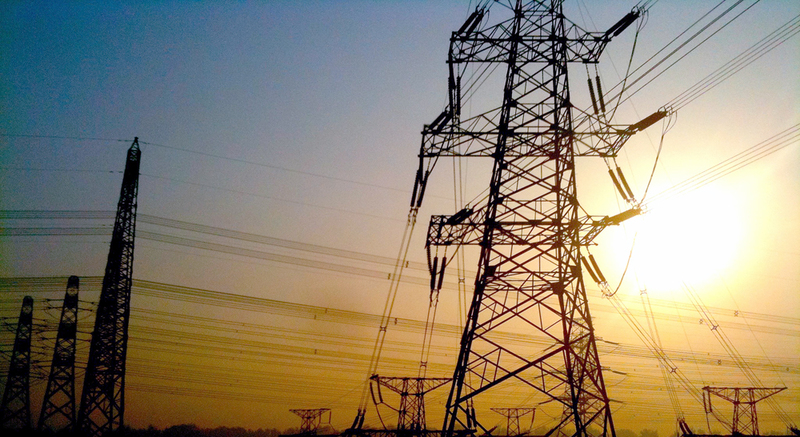 The U.S. Department of Energy has forecast the need to increase energy production 40 percent by mid-century. But unless there are significant changes in approach, meeting the demand for 40 percent more energy will come at an extraordinary price to the nation’s air, water, land, and quality of life. Rising energy demand and diminishing freshwater reserves are two trends in dramatic collision across the country. Moreover, the speed and force of the collision is occurring in the places where growth is highest and water resources are under the most stress: California, the Southwest, the Rocky Mountain West and the Southeast. Energy-water stress points of the same magnitude also are occurring in China. China’s rising energy demand, the fastest in the world, is colliding with its rapidly declining supply of fresh water. China, among the world’s driest countries, has roughly 163 trillion gallons of water available for all uses, according to a study released in December 2009 by McKinsey’s 2030 Water Resources Group. About 63 percent is used by farmers, down from 85 percent in 1980, according to China’s Water Ministry. Municipal and domestic use has been stable at around 12 percent, and industry uses 23 percent; 80 percent of that to operate and cool China’s 10,000 coal-burning generating units in 550 power plants. But by 2030, according to the McKinsey study, the demand for water in China’s rapidly growing economy will reach 215 trillion gallons, 52 trillion gallons more than is currently available. The increase in coal production and consumption is projected to account for most of the increase. The amount of water consumed by China’s energy sector will reach 70 trillion gallons, or 32 percent, while agriculture’s share will fall to 51 percent, according to McKinsey. The China Water Ministry described the situation in a report earlier this year: “Rising water consumption associated with socio-economic development increasingly strains China’s freshwater ecosystems, challenging traditional water resource management.” In effect, the most critical economic and environmental question in China today is whether there is enough water for the nation to continue its frantic modernization. Answering that question, of course, has stunning ramifications for the United States and every other nation that has business and diplomatic commerce with China. Both nations have proven knowledge that is readily available to loosen the tightening energy-water choke points. Now would be a good time to put it on the negotiating table. This article hits the nail on the head! Due to population growth, increased energy demand, and water scarcity in certain parts of the world, water is becoming the critical factor for economic development. To meet energy requirements for the 21st Century, we must consider a global population projected to reach 9 billion by 2050, global energy use projected to double between 2000 and 2050, and electricity consumption expected to triple or even quadruple. Meanwhile, greenhouse gas (GHG) emissions must be cut by 70% by 2050, to avert catastrophic change in our planet’s climate system. Unfortunately, even with a robust rate of growth in renewable energy sources and cleaner coal technology, there is a significant gap between clean energy demand and supply. Many North American power utility executives believe only nuclear energy can fill this gap. The problem is that conventional thermal nuclear power plants require at least as much water as coal fired plants and conventional thermal power generation requires a lot of water. For example, approximately two thirds of the freshwater withdrawn in the Southeast U.S. is used by thermoelectric power plants. This region of the U.S., which already experienced extensive droughts through the first decade of this century, is expected to experience significant and sustained decreases in available precipitation by 2050. One advantage of nuclear power is that these plants do not have to be sited near a source of fuel as coal plants do. A source of water is one of the most important factors in siting nuclear power plants, and technologies such as dry cooling, closed loop cooling using cooling ponds, or recycling municipal wastewater, such as the Palo Verde plant near Phoenix, Arizona are going to become much more important.